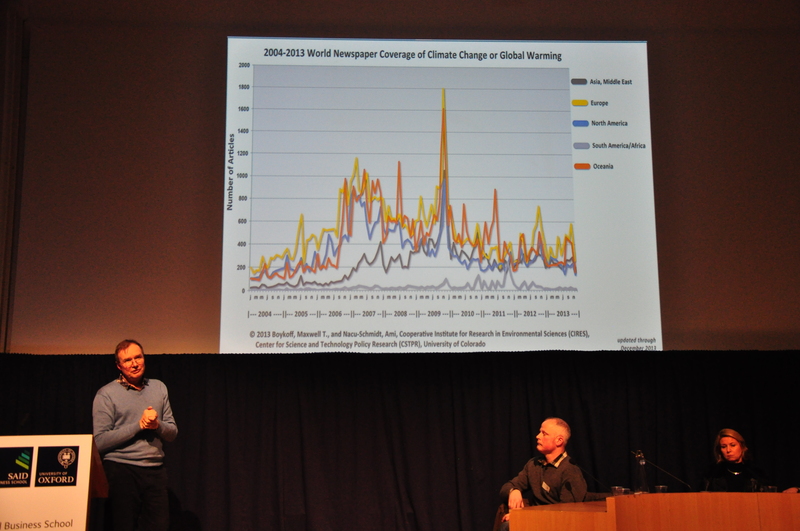 From the 7-8th of February the Oxford Climate Forum 2014 attracted young academics from around the UK and brought them together with some leading organisations, consultancies, professors and experts in the field of climate change. 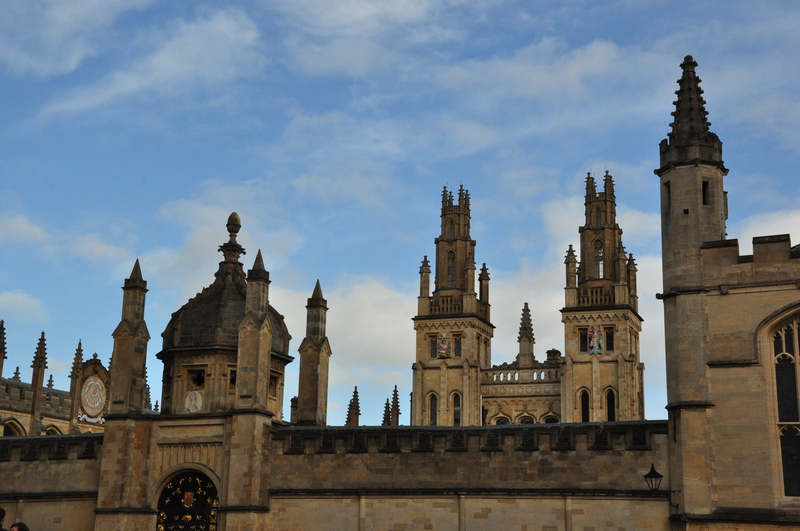 We, the Climate-Exchange team, used this opportunity to visit the prestigious town of Oxford and attend the conference. In addition to the conference program, we initiated, kindly supported by our course director Heike Schroeder, meetings with Oxfam International, the Stockholm Environment Institute (SEI) Oxford, UK Climate Impacts Programme (UKCIP), and the private consultancy Acclimatise. 07. February On our way from Norwich to Oxford, nature harshly reminded us of what a changing climate can mean in our daily lives. The rain poured down as we hit the road at 6 am. flooded roads and shut down highways caused us to instantly hit traffic. This prompted us to think about the necessity of building resilience and increasing the adaptive capacity of communities, which will otherwise have to bear the devastating socio-economic costs of changing weather patterns. 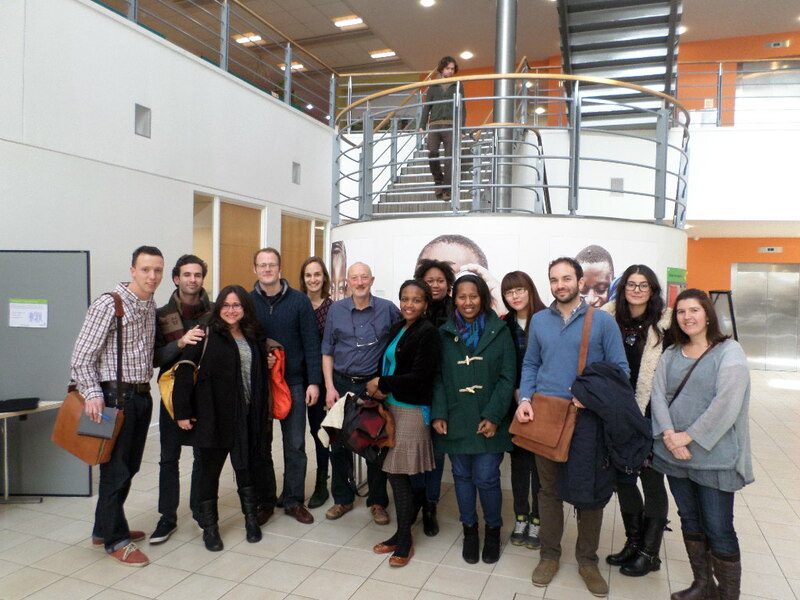 Once we finally managed to reach to Oxford, we were welcomed to Oxfam’s headquarters by John Magrath of the policy research team. John has worked at Oxfam since 1985, investigating the impact of climate change on Oxfam projects as well as a diverse research portfolio. Having identified aspects and concepts of climate change far ahead of the curve in his ‘weather alert’ publication examining the super El-Nino of 1982-83, (and his new article on the subject can be read here) it was a great opportunity to ask John questions about our various interests, which he very obligingly answered in great depth. 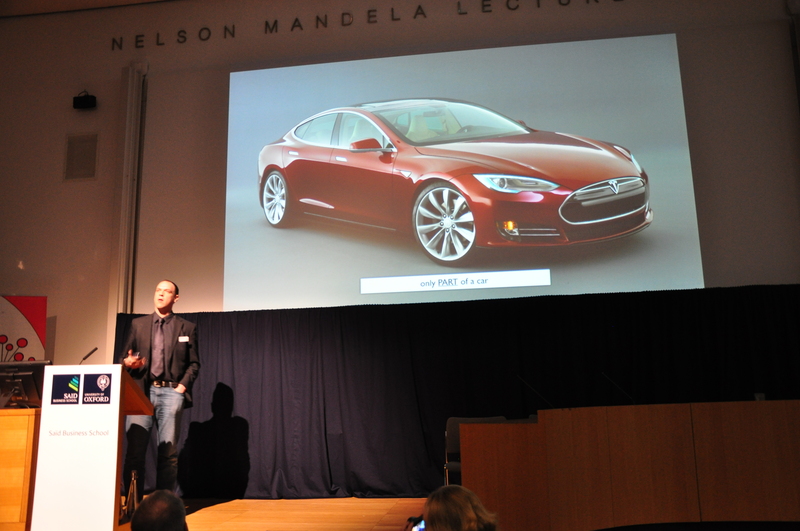 Afterwards, the team moved on to the Stockholm Environmental Institute (SEI). SEI is an independent international think tank that focuses its research on development and the environment. 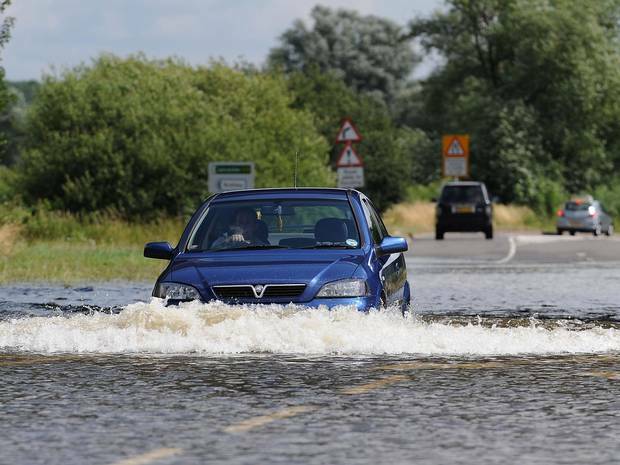 The SEI Oxford office is mainly focused on climate change adaptation issues. We had the opportunity to learn about different tools, such as Water Evaluation and Planning (WEAP) and the knowledge-sharing-platform weAdapt. WeAdapt offers a space to share studies and findings in the field of climate change adaptation and provides a user friendly google maps layer, which enables the visitor to look for region- specific studies and climate data. We were also introduced to the EcoAdapt program. The SEI staff were very accommodating in answering all our questions about the main challenges of their work and its applicability. After a rapid goodbye we hurried to our next visit, held at the Environmental Change Institute in the University of Oxford. Mr. Roger Street from UKCIP awaited us. Well-prepared, he immediately started to inspire and fascinate us with an account of his trajectory in the adaptation field. He explained how the drive to understand stakeholders’ views and experience in risk assessment created the institution, which increasingly focuses on a social and integrated perspective. Buoyed up with fresh ideas such as creative and transformational adaptation and projects like Climate Crunch we had a lot to think about. With almost no time for questions, but full of new ideas, we had another talk, this time from Acclimatise, a consulting company which specialises in climate change adaptation. Laura Canevari, an excellent communicator, caught our attention from the outset and explained to us why working in the field of adaptation can be challenging, exciting and dynamic. Using case studies and lots of passion, she provided us with a clear picture of how working in this field may look. The sun had already gone down when we left the Environmental Change Institute and headed towards the Saïd Business School, where the Climate Forum was going to take place. It started with a keynote by Dipal Barua, the founder of BrightGreen Energy Foundation, detailing his initiative to make Bangladesh the first solar nation in the world. Afterwards, a very lively energy debate took place in which various speakers tried to define the role that renewables and carbon capture would play in our energy future. They spoke of a fundamental system failure (political and financial) which is making our path to a more secure energy future more challenging and complex. Finally, the 2degrees network presented its initiative on sharing best-practices to make companies more sustainable. After the last talk we enjoyed the nightlife of Oxford and went out for a burger, a beer or two and had long discussions about our impressions of the day’s happenings and our plans for the future. o8. February. The second day started with an abstract and theoretical explanation from Prof. John Broome, the White’s Professor of Moral Philosophy, on why taking action in the fight against climate change is our duty as citizens. After such a stimulating introduction to the day, the conference program allowed everyone to choose to sit in on their favourite topics via presentations and panel discussions. A few highlights from Saturday’s program were the deep reflection around arts and climate change and the amazing creativity on how to represent this challenge.Connect4Climate offered some fresh perspectives on how to use the media to reach the climate issue and a heated debate fired up in the climate finance segment, with the panel speakers: Brett Scott, Journalist; Michael Liebreich, CEO Bloomberg New Energy Finance; Michael Obermayer, Managing Partner and Co-Founder of Fjord Capital. “If you are not talking about an amount that is at least a billion then you are not talking about climate finance.”Michael Liebreich, CEO Bloomberg New Energy Finance. 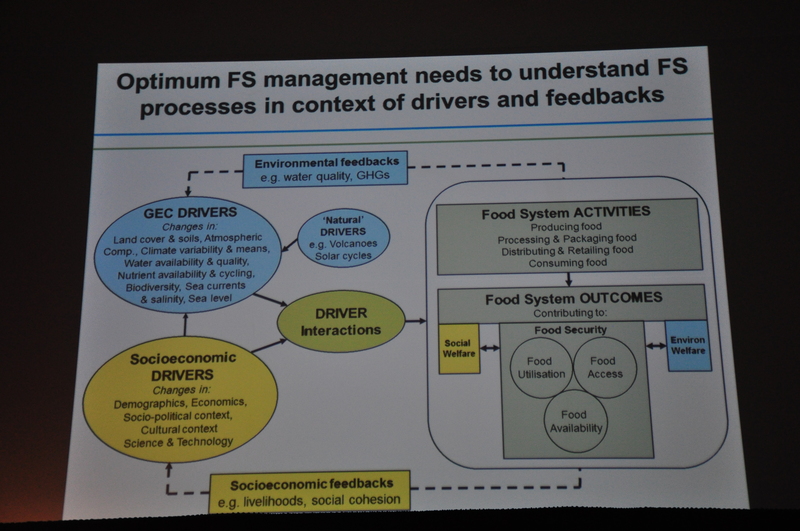 “A look at health and environmental consequences of satisfying demand with current food systems. Positive synergies between environmental and socio-economic feedbacks are essential.” Dr. John Ingram, Programme Leader, Oxford Environmental Change Institute. During the lunch break we had some time to do sightseeing , enjoy some ancient English architecture and to also take in some Korean cuisine during some surprisingly sunny weather! The final keynote speech was from Prof. Gordon Clark, Director of the Smith School of Environment and Enterprise about the governance of investment decision-making in the context of market volatility and long-term obligations. After this we were finally overwhelmed by a combination of little sleep, long days, and intense input of new ideas. We packed our stuff in our rented cars and drove loaded with impressions, exhausted but happy to be heading back to Norwich. To keep up the vibe of the conference on our way home, we continuously listened to the promotion CD we received from the Connect4Climate team of the World Bank. To suggest that everyone was happy that this was our only CD available to us in the car is questionable, but somehow the songs suited the theme of the whole weekend. 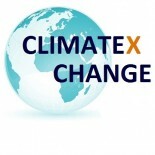 This entry was posted on February 14, 2014 by Climate Exchange in Climate Change Adaptation, Climate Change Mitigation, Posts / Themes and tagged Climate Change Adaptation, Climate Change Finance, Climate change governance, Climate Change Mitigation.